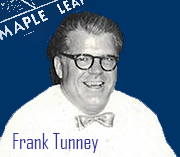 Future world champion Dan O'Mahony -- billed in the U.S. as Danno O'Mahoney -- made his Maple Leaf Gardens debut on February 21, 1935 to much fanfare. 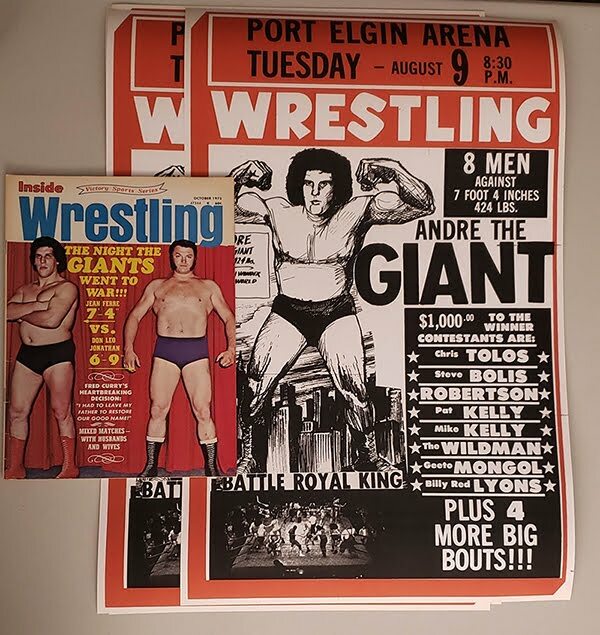 The wrestler was brought to North America by Boston-based promoter Paul Bowser to add some fresh blood to the wrestling scene ... and attract the huge Irish crowds in Beantown. 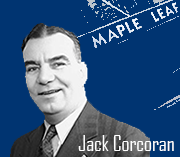 Toronto also had a thriving Irish community, which included promoter Jack Corcoran. 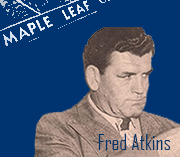 The community also included Toronto Maple Leafs' all-star defenceman King Clancy, who was in the waning years of his hall-of-fame playing career. 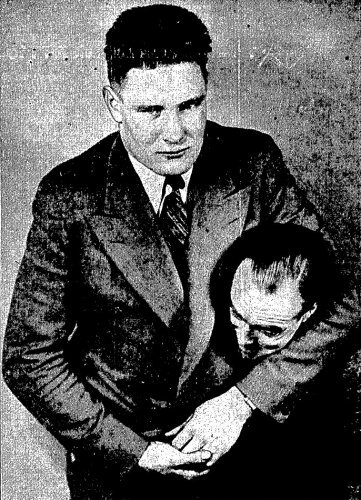 Clancy gave his support to O'Mahony as a legitimate Irishman, and posed with the wrestler -- billed as 6'2" -- for this picture in the Toronto Star. 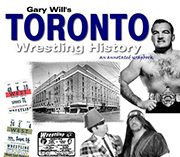 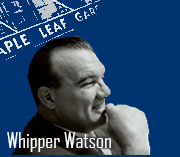 In his column the day of O'Mahony's Toronto debut, Star sports editor Lou Marsh described pro wrestling as "sportive entertainment," foreshadowing the term that would be popularized decades later by Vince McMahon and the WWF.